Kenneth C. Griffin ’89, founder and chief executive officer of the Citadel LLC, a multibillion-dollar, Chicago-based hedge-fund and financial-services enterprise, has given Harvard $150 million, principally for undergraduate financial aid, the University announced today. extremely important that students of all backgrounds have the opportunity to challenge themselves, learn to solve complex problems, and ultimately better our world. My goal with this gift is to help ensure that Harvard’s need-blind admission policy continues, and that our nation’s best and brightest have continued access to this outstanding institution. provides matching funds through the new Griffin Leadership Challenge Fund for Financial Aid for 600 new scholarships to encourage other donors to make commitments to the College’s financial-aid program. Depending on the matching formula and timing of gifts, the Griffin Scholarships, other donors’ gifts (when received), and the matching funds provided by Griffin could collectively generate a significant portion of the Faculty of Arts and Sciences’ (FAS) $600-million capital-campaign goal for undergraduate aid. (The only equivalently large FAS priority is its $600-million faculty-related target for endowed chairs, graduate-student fellowships, research support, and related purposes.) In acknowledgment, the College financial-aid office will be renamed the Griffin Financial Aid Office, led by the Griffin Director of Financial Aid. Three intersecting factors explain why that is so. eliminating home equity and retirement savings in calculating aid. In retrospect, the timing of that considerable enrichment of aid was fateful: it came during a period of strong returns on the endowment (its value peaked at $36.9 billion as of June 30, 2008)—only to be succeeded, 10 months later by the financial-market collapse, the resulting $11-billion decline in the endowment, and ensuing budget cuts. Rising need. Under the liberalized financial-aid formulas, the number of students qualifying for aid, and the size of their grants, rose. The recession put many more families’ incomes under great pressure. And of course the annual bill for tuition, room, and board increased annually—enlarging the size of the required aid package. For students entering the College in the fall of 2004, when HFAI began, the term bill was $39,880; this academic year, it is $56,407—a compound annual growth rate of about 4 percent. The resource squeeze. According to College data, Harvard’s budget for undergraduate financial aid has increased by 88 percent since 2007, and today, 60 percent of undergraduates receive financial aid. Given the increase in spending and the decrease in the value of the endowment (and two years of resulting reduced distributions for operating expenses, the faculty’s principal source of revenue), FAS found itself in a financially uncomfortable position as it had to fund the aid budget—never “put on the table,” in Smith’s words—by drawing more on its unrestricted funds. Thus the faculty-wide significance of Griffin’s scholarship gift and challenge fund. By itself, Griffin’s gift to the College may in fact be the largest single gift in Harvard history, period. It exceeds the two individual gifts of $125 million from Hansjörg Wyss, M.B.A. ’65, announced in 2008 and 2013, to support bioengineering research, and the $100-million gift made in 2008 by David Rockefeller, ’36, G ’37, LL.D. ’69, in support of undergraduate international experiences and the renovation of the Harvard Art Museum. Griffin said that his gift comes from the belief that financial aid is a “key part” of making Harvard “available and open to all.” In a brief interview with Harvard Magazine, he recalled becoming directly involved with financial-aid concerns about 15 years ago, being “in the middle of that discussion to understand what are the issues that students face in trying to go to Harvard, what are the issues that families face in trying to put their children through Harvard. Among the thousands of hedge-fund managers, a tiny cohort are particularly successful: able to generate large returns for their investors (and on their own invested assets) for a sustained period, in some outstanding years topping industry and popular lists with nine-figure earnings and appreciation in their personal portfolios. If they can sustain the performance, they find their way onto the Forbes and other lists of the wealthy. In these rarefied circles, Kenneth Griffin and Citadel stand out. First, he has been at this work, at the firm he founded, for virtually his entire career, rather than coming to it after an extended tour on Wall Street or at another firm. He began trading as an undergraduate, as The New York Times, Bloomberg, and Institutional Investor (in a December 2009 profile) have all reported. A year after graduating from the College (a year early, in 1989, with an economics concentration), he launched Citadel with $4.6 million under management. Over time, propelled by a decade of 20 percent returns in its flagship funds, Citadel reportedly grew to manage more than $20 billion at its peak, before the 2008 financial crisis. Second, to an unusual degree, Griffin has apparently combined opportunistic, instinctive investing with highly quantitative, automated, algorithm-driven techniques. Among Citadel’s opportunistic, contrarian moves, the Bloomberg and Institutional Investor accounts list the firm’s decisions to begin a kind of trading and investing that others abandoned in the wake of the collapse of Long-Term Capital Management in 1998, to enter energy trading after Enron’s bankruptcy in late 2001, and to make big bets on natural gas after another hedge fund lost billions in 2006. Third, Citadel has invested heavily in proprietary technology for its own investing strategies and trading operations, according to most accounts, and has regularly sought to find ways to bring functions in-house that other investors perform through Wall Street firms—and even to sell these services to other asset managers (as Institutional Investor reported). Most notably, in the wake of the financial crisis in 2008, Griffin set about trying to build a full-size, full-service investment bank to fill the gap left by the collapse of Lehman Brothers, and the absorption by other firms of Bear Stearns and Merrill Lynch. That effort was largely abandoned in 2011, and other ventures have come and gone as well. Nonetheless, Citadel Securities’ retail-execution services, by its own account, carry out nearly a quarter of retail investors’ U.S. listed-stock trades; it trades for institutional investors, as well, and is a large participant in automated, high-speed trading generally. The Citadel Technology operation similarly serves other investment-management clients. Fourth, Griffin and Citadel have survived a financial near-death experience. When the financial crisis intensified in October 2008, Citadel’s funds were, by most accounts, both heavily invested in severely affected market sectors, and very heavily leveraged. On October 24, Wall Street was riveted (The New York Times live-blogged the event) as Citadel’s chief operating officer, Gerald Beeson, and Griffin conducted a conference call to stave off rumors that the firm was imperiled; in fact, its two principal funds were then down 35 percent, and ended the year with losses of 55 percent, The New York Times reported. After limiting investors’ redemptions and improving performance (the firm’s diversified stable of investment funds and other businesses were again producing very strong results, with the flagship hedge funds realizing returns from as much as 62 percent in 2009 to between 11 percent and 25 percent in subsequent years), by early 2012, Citadel had restored the funds’ value sufficiently that it could again collect its substantial contractual management fees. In their personal lives, the Griffins have become notably active in two realms: as art collectors, reportedly assembling masterpieces ranging from works by Edgar Degas to Jasper Johns; and as philanthropists active particularly in their home city, Chicago. 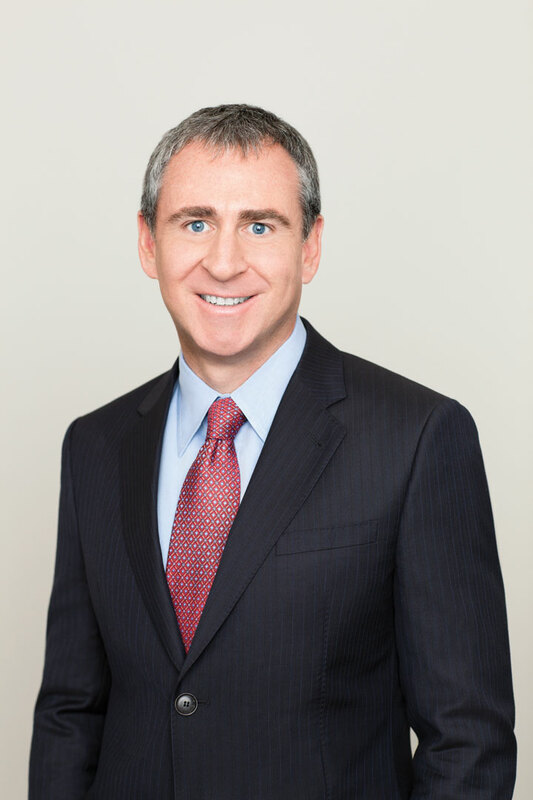 Among other engagements, Kenneth Griffin serves on the board of the Chicago Public Education Fund and as a trustee of the Art Institute of Chicago and of the Museum of Contemporary Art. Anne Dias Griffin is a trustee of the Museum of Modern Art, the Whitney Museum of American Art, and the Chicago Symphony Orchestra. Now, with Citadel apparently on firmer footing than ever, Kenneth Griffin’s undergraduate financial-aid commitment is on a scale unprecedented in terms of his past philanthropic commitments—and for the College and University whose students he has determined to support.